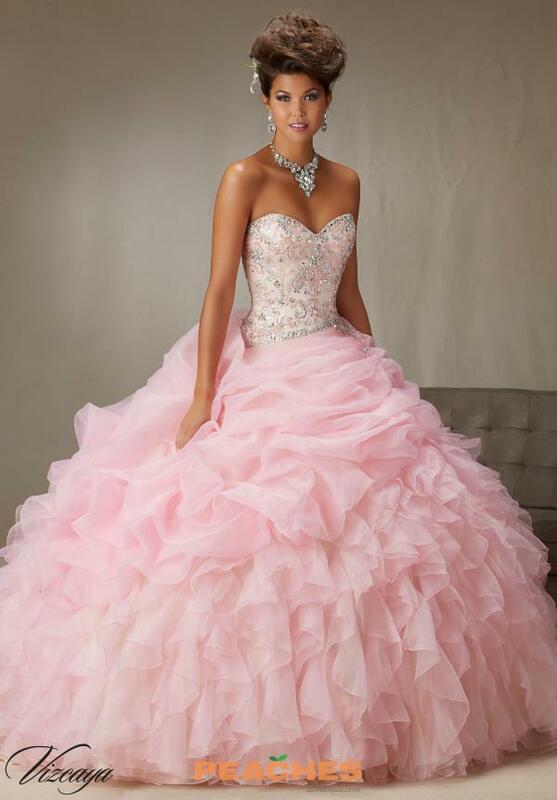 Dramatic Vizcaya ball gown dress 89064 has a beaded bodice and full ruffled skirt. Featuring a sweetheart neckline and bold bead work creating a glamorous sparkle that will make you and the dress shine under the spotlights. The full ruffled skirt is made of organza material. The form fitted corset lace up back will flatter your figure. Look for more Vizcaya dresses at Peaches Boutique.